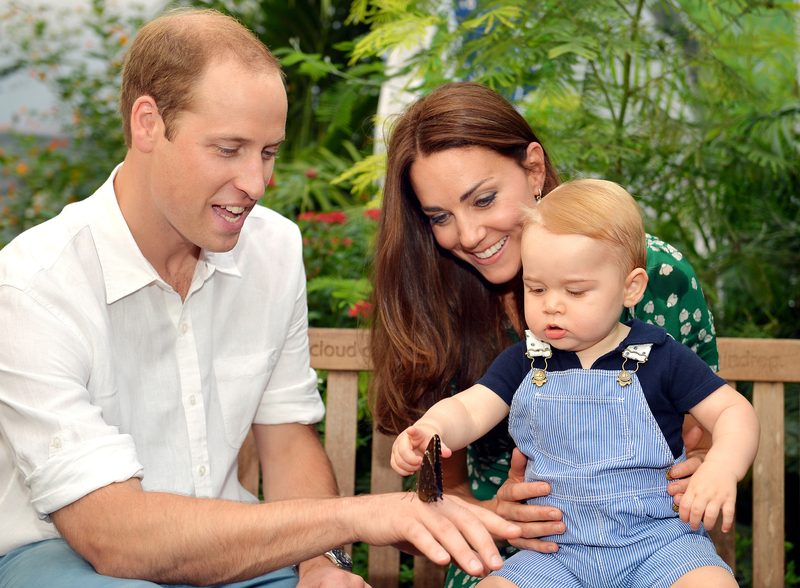 Prince William & Kate Middleton Have Another Royal Baby on the Way So How Did Prince George React to This? It's time to give Kate Middleton a royal high-five. I mean, if it were appropriate to give princesses high-fives and if her 24/7 security detail would let you get that close. As it turns out, Middleton is pregnant with her second child, which means she's going to be a mother again, Prince William is going to be a father again, and Prince George is going to be a big brother. Yeah, yeah, yeah, Middleton has been rumored to be pregnant, like, five hundred times now but this time the Duke and Duchess of Cambridge announced this news themselves. It's only been two months since Prince George turned 1 years old and now he's about to be a big brother. If only he could give interviews so we knew how he felt about all of this. Luckily for everyone, I live in a world of If Only and I imagine Prince George ran through a lot of reactions to the news that he's going to be someone's older brother. I mean, from what we know of George and his personality so far, he's already 100% fit to be a ruler even if being a ruler means he has to have play dates with peasants every once in a while. What kind of big brother does Prince George plan to be? Was he thrilled when his parents told him what was going on? Let's take a guess. "Mom and Dad have a big announcement? I hope it's about breakfast. I loves me some breakfast." "Second baby? Why do we need the stork to bring a second baby? I'm right here, helloooo." "I am going to my royal chambers until you two remember who's the light of your lives!" "The royal chambers are kind of empty... I wish I had someone to play with..."
"My new brother or sister would be a good playmate. We could have adventures like dad and Uncle Harry." "Okay, mom and dad, you have my permission to let the stork deliver a new baby. I'll even share my toys." "Wait, what do you mean I have to wait nine months?! Noooooooo!" Thank you for your thoughts, Prince George. We're as impatient for the second royal baby to arrive as you (probably) are, so, trust me when I say we understand your pain. And can already tell you'll be the best big brother ever. How many big brothers are willing to share their toys?